…..no kill, free fishing (never guaranteed). 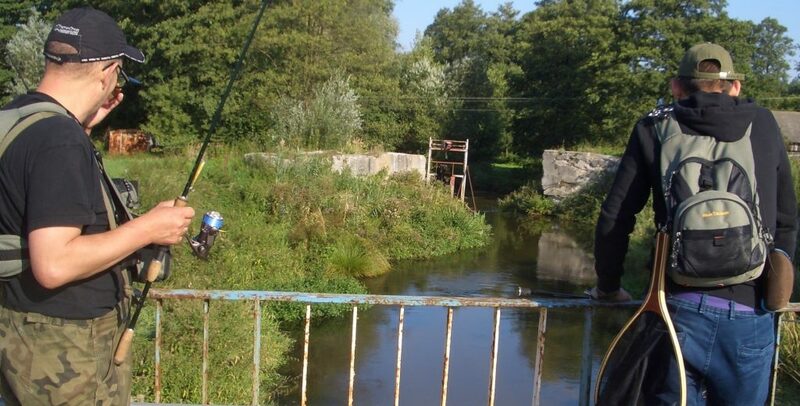 Włodek and Piotr survey same river, new location. The water wheel pool: make your wish. A pretty perch (okon), lured by a tiny ‘Mepps’. We’ll be back by spring. the rain has stopped, we’re drenched; it’s time to pack up, and find a cold beer. 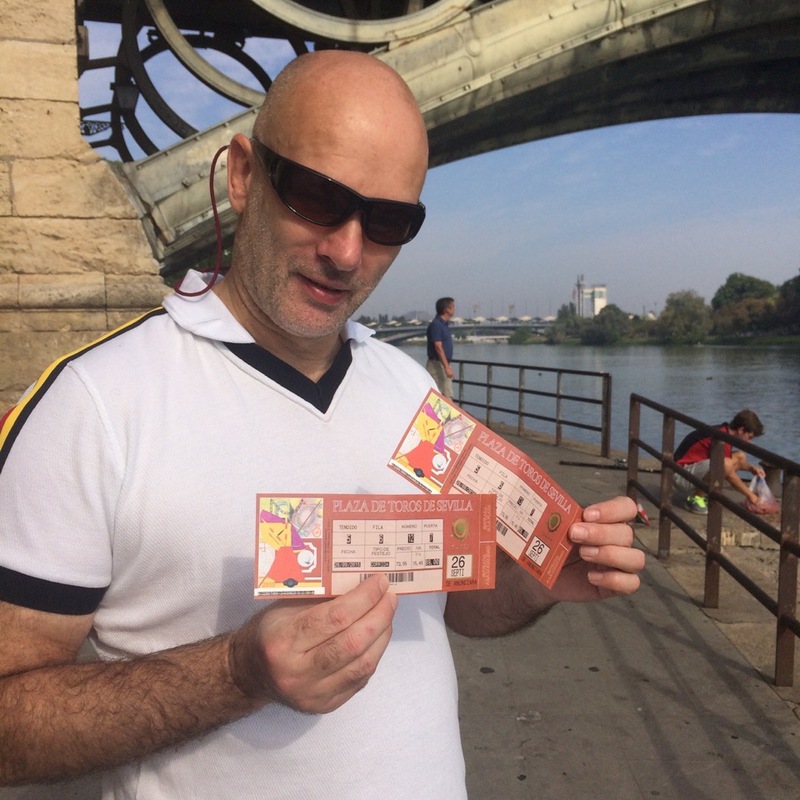 Let’s head to Czarny Piotrus bar, the best pizza and sports bar in Pulawy. 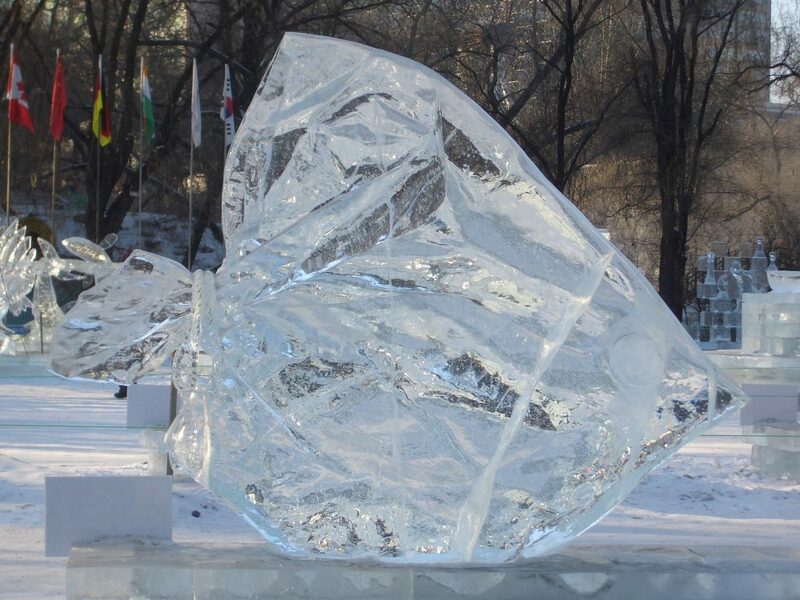 Harbin International Ice Festival takes place annually in north east China. We took the overnight soft sleeper train from Beijing. Local winters are a new experience for anyone not used to daytime temperatures averaging minus 12 Centigrade dropping to -23 Centigrade at night. But on returning to Beijing’s -1 Centigrade, the weather seemed clement. 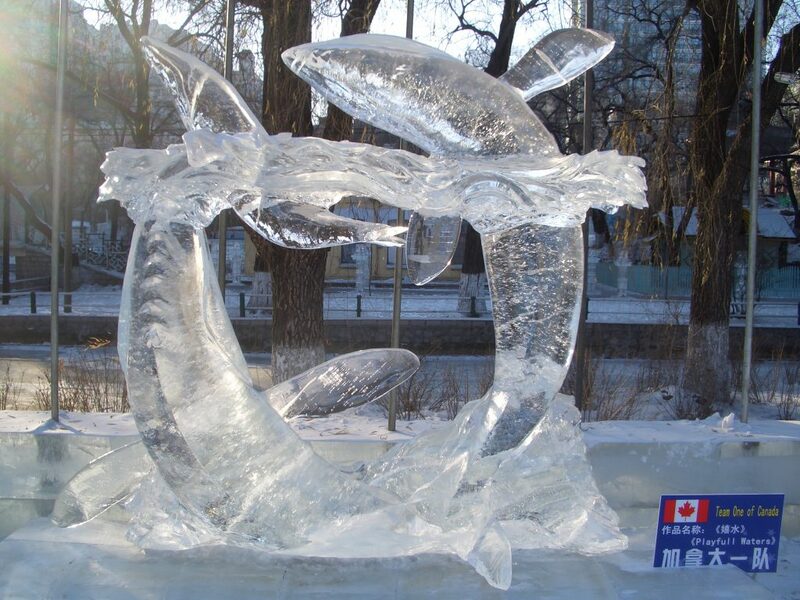 These fish ice sculptures were created by international teams in Harbin’s city centre park, the original site for the Ice Festival. 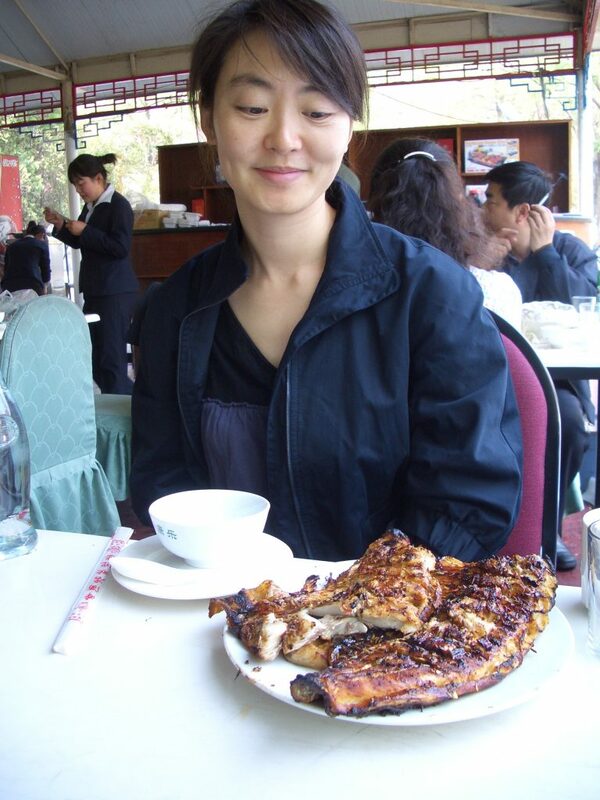 During my time spent living in Beijing I noticed that whilst sea-fish restaurants were few and far between freshwater fish species, like grass carp and small head Black bass, are commonly represented on Beijing restaurant menus. In fact carp quickly became my favourite Chinese dish when eating out. Using chopsticks meant that I could easily pick out flesh from between the bones of steamed fish without difficulty after a little practice. 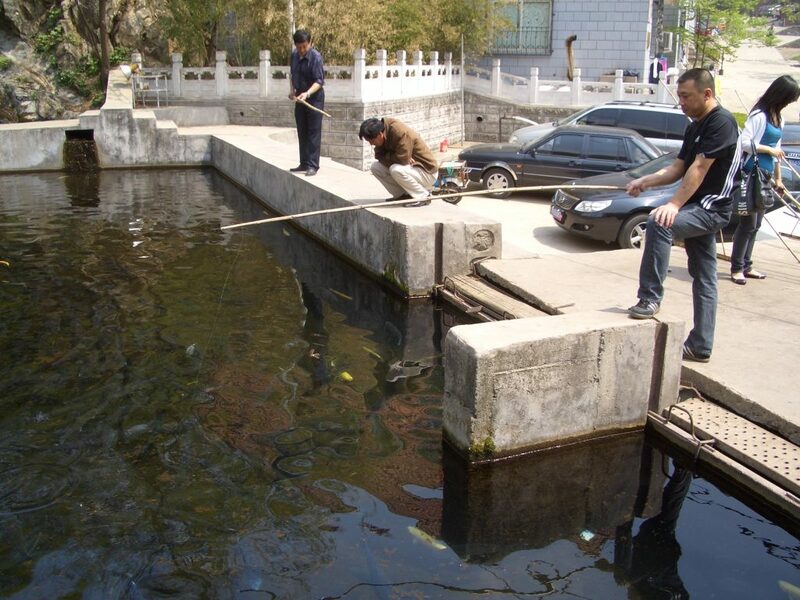 While hundreds of tons of fish are supplied to Beijing’s 40′000 restaurants from out of town commercial stock ponds every day, local Beijing anglers prefer to concentrate their efforts, especially during the warm summer months, on catching tiny Crucian carp using whip poles and small floats from inner city canals. 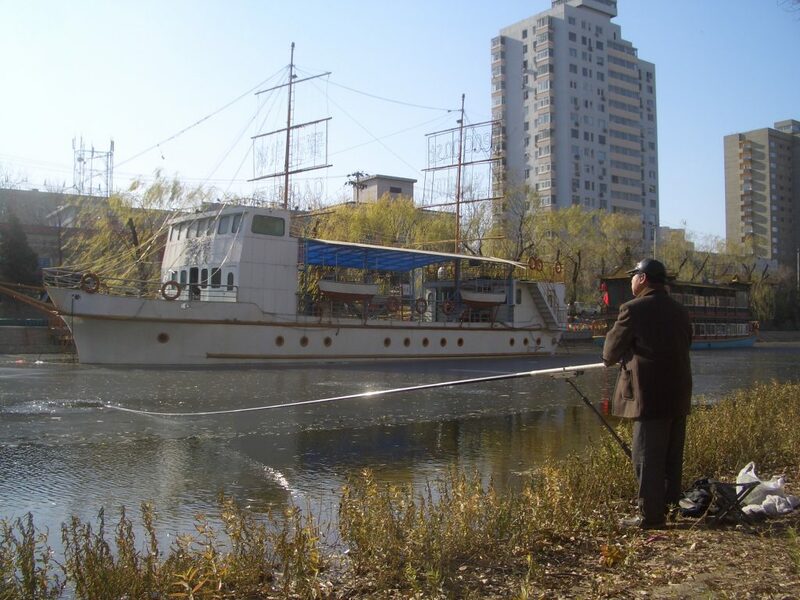 Harsh winters don’t prevent local anglers bagging up from Beijing’s frozen canals and city park lakes. Bites are less frequent and ice fishing generally requires more patience and a sturdy constitution.The local hooch, baijiou (Chinese whisky is made from sougram) is sold in small bottles from corner shops all over China but here in Dongzhimen, anglers fishing the canal by the third ring road, swear that it keeps their spirits alive when temperatures plummet. 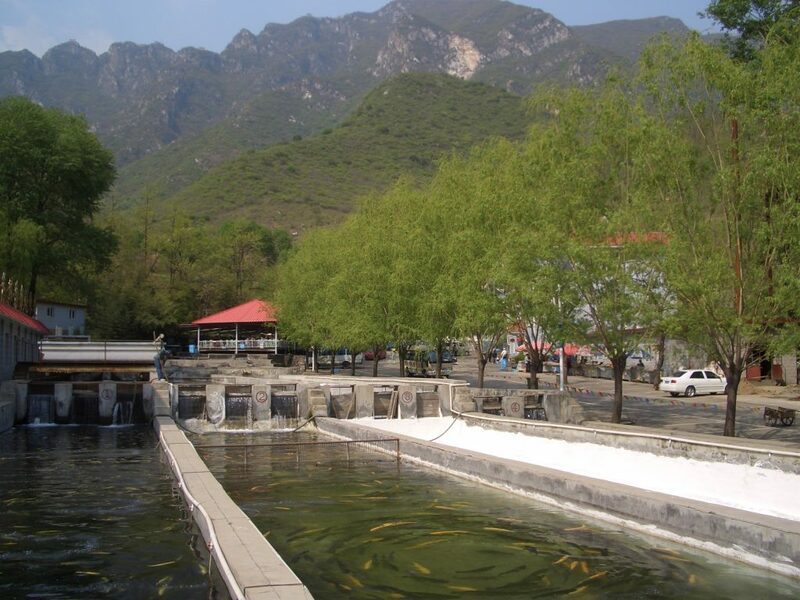 Just north of Beijing is a river found near Hairou gorge that contains trout. 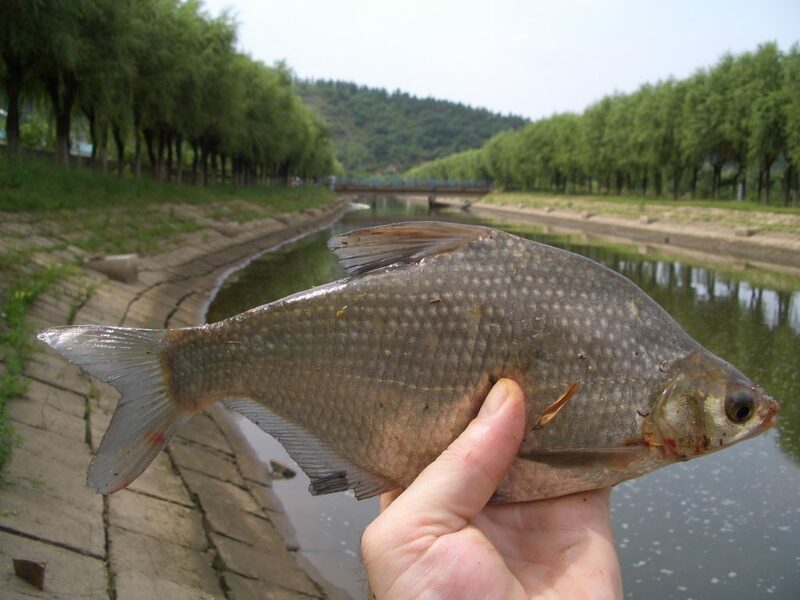 Visiting anglers will be surprised by the variety of fish species caught in Beijing. A local angler, expertly casting a large treble hook into the colourful canal in Andingmen district near the Confucious Temple on the second ring road was able to snag all manner of tropical fish, including many dozing goldfish, which had almost certainly been evicted from their owner’s comfortable living room aquariums by the arrival of the latest family pets craze, miniature Japanese golden killer poodles. 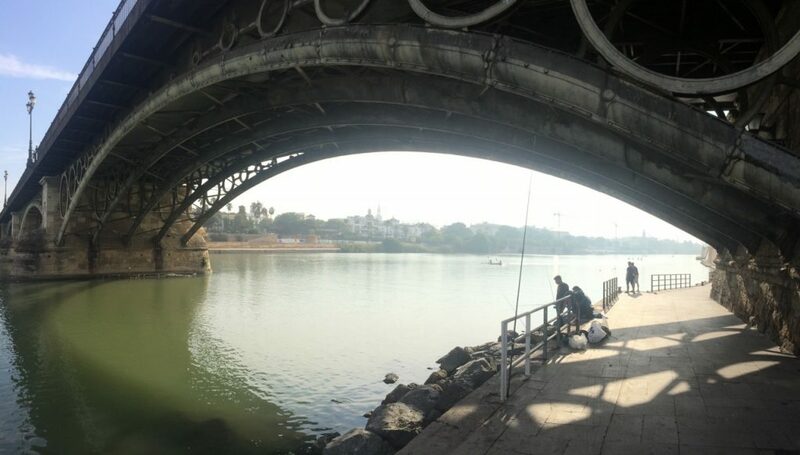 Fed up with catching hundreds of tiny fry, an enterprising angler returned his initial catch on a larger hook and recast by the sluice gate of the outflow pipe for the power station located in Sihui Qiao near the central business district (CBD). 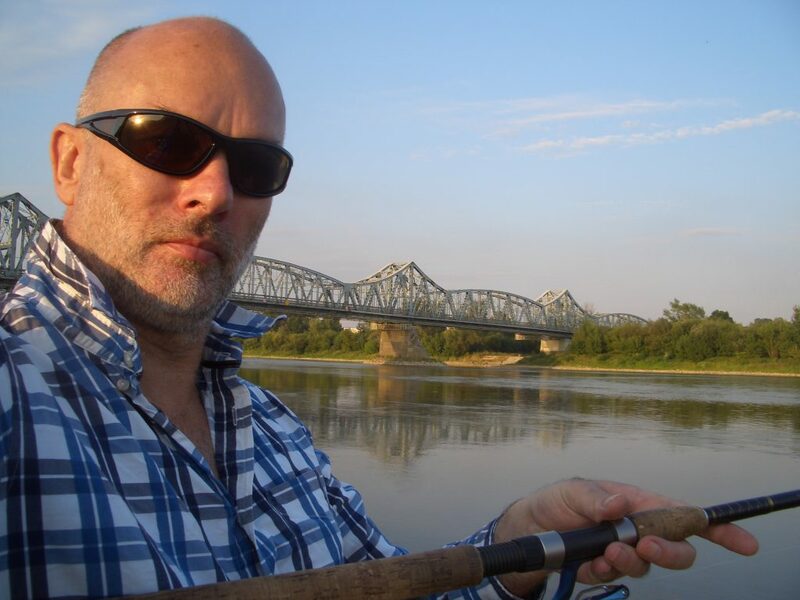 Minutes later he hooked into and landed a fair sized catfish (3 kilos) with an exotic strip appearance. The following week I ordered a similar looking fish, part of a spicy hotpot dish, spotted on an upmarket restaurant menu. Soon after, I was taken to a fishing hot spot whilst visiting a friend’s home town, Changchun city in the province of Liaoning. China’s north east has a reputation for freezing winters.During the summer clean, blue skies hover over fish filled lakes enclosed by virgin forest plantations. These wonderful locations provide memorable fishing opportunities, and some of the least tampered-with countryside in China. 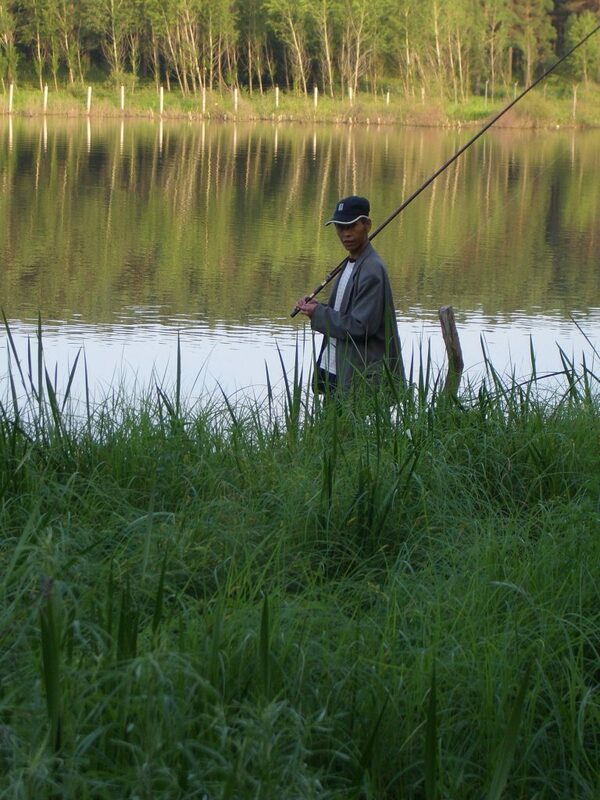 I fished the outflow channel of a large reservoir located approximately one hour’s drive outside Changchun. The canal contained around forty pegs used for match fishing. 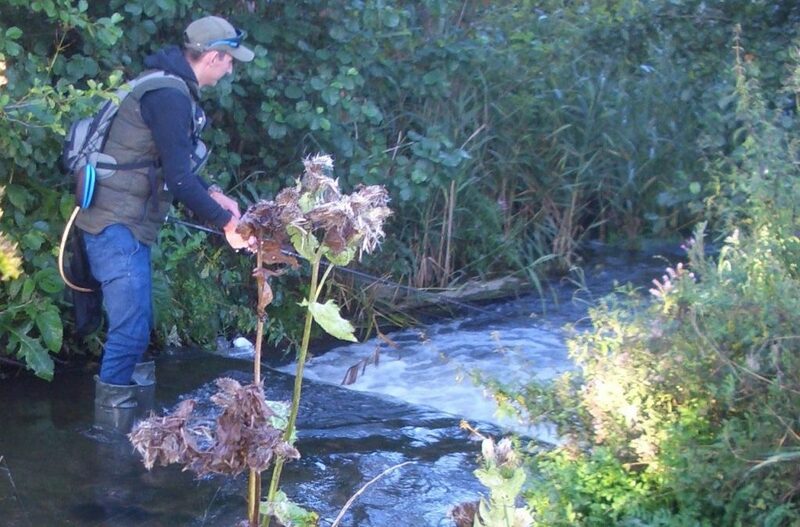 I used a light pole to float fish and caught five different small fish including a common carp, barbel and Rudd types. 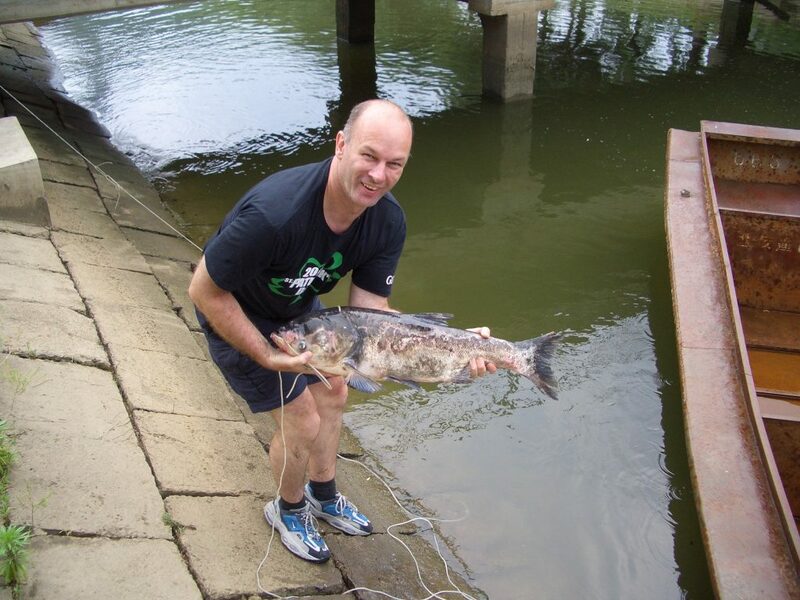 The picture shows me holding an 8 kilo Big head carp (Robson Greene’s encountered the same fish species on his Extreeme Fishing TV show when he visited a lake near to Shanghai). The local workers had netted the large fish, many specimens were made captive in the canal because they couldn’t pass through a narrow sluice gate at one end, and then put a rope through its gills until needed for the pot. Workers sell the head of Big head carp to restaurants, it’s an expensive yet very popular delicacy. My in-laws, hearing about the fishing prowess of the newly arrived expert, foreign angler,organised a Sunday afternoon family fishing trip to a local lake near to the airport. 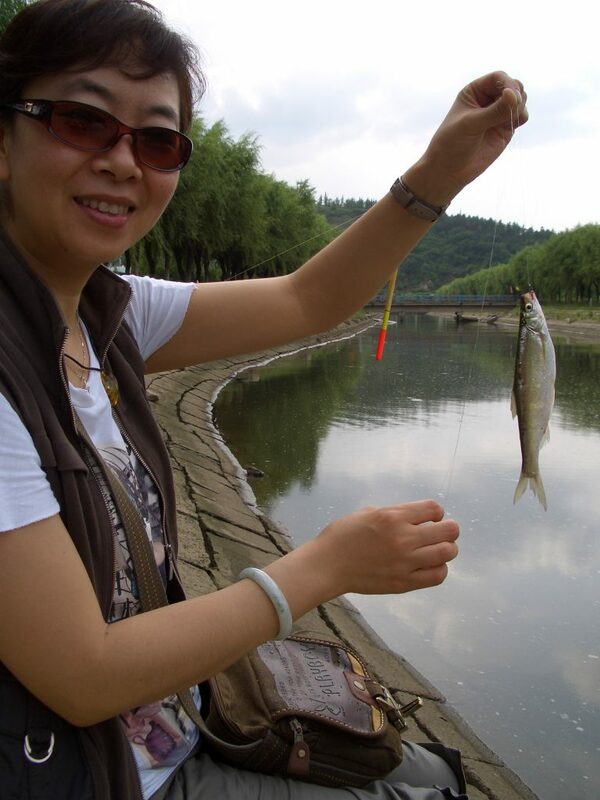 My young niece caught fish – beginner’s luck, my ancient father-in-law caught fish- Beijinger’s luck, I even helped my step brother, novice angler Phil, catch his first carp – unbelievable luck! 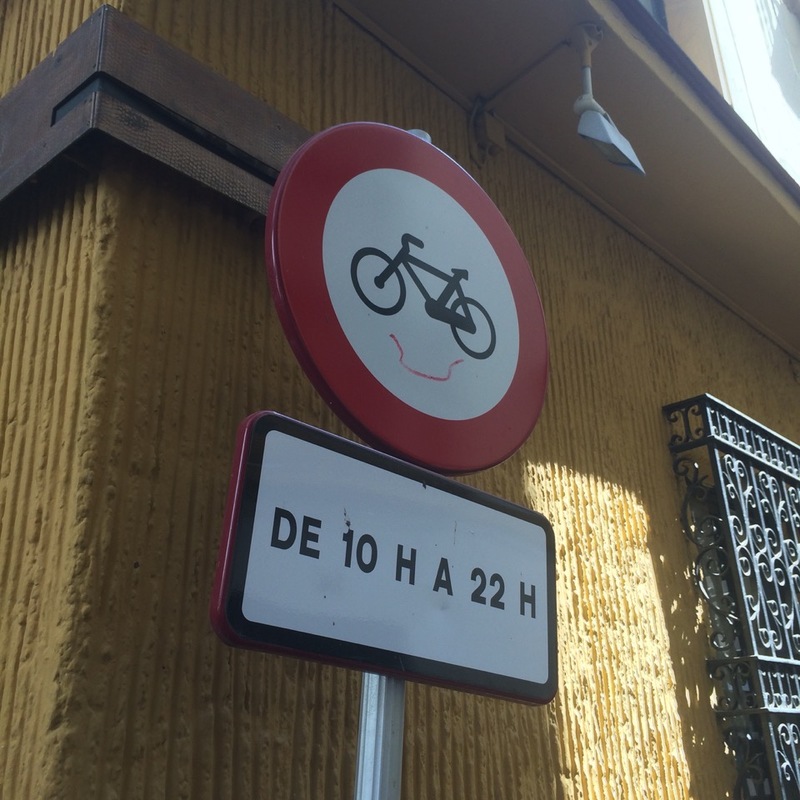 I caught less – nothing actually! However we enjoyed our combined catch of eight grass and common carp, served eight different and delicious ways, together at the at the lake side restaurant. It is located in the renowned Xiaotangshan Spa grounds, reputed to be the best spa area in China. You will be offered rod and reel and bait and lure. 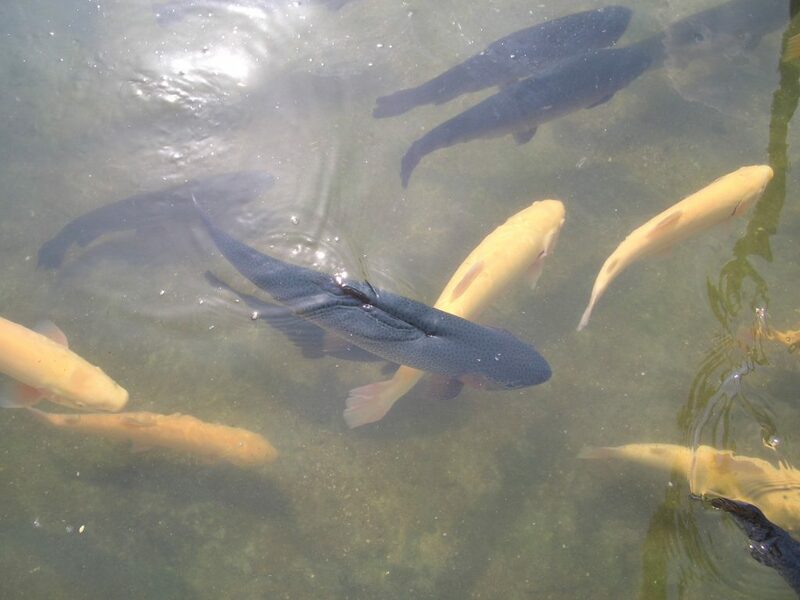 There are scores of fish: carp, crucian, grass fish, trout, chub , catfish etc. You will be arranged to have the fishing at the fishing pond for trainers. When you hook one fish and grab the fish, then you should free the caught fish alive and put the fish back into the pond. If you want to have more exciting fishing at the normal fishing ponds, you will be charged for the various fishes you have catched! So before you do the fishing at the normal fishing ponds, please check with the tour guide and the staff there for the prices of the caught fish. 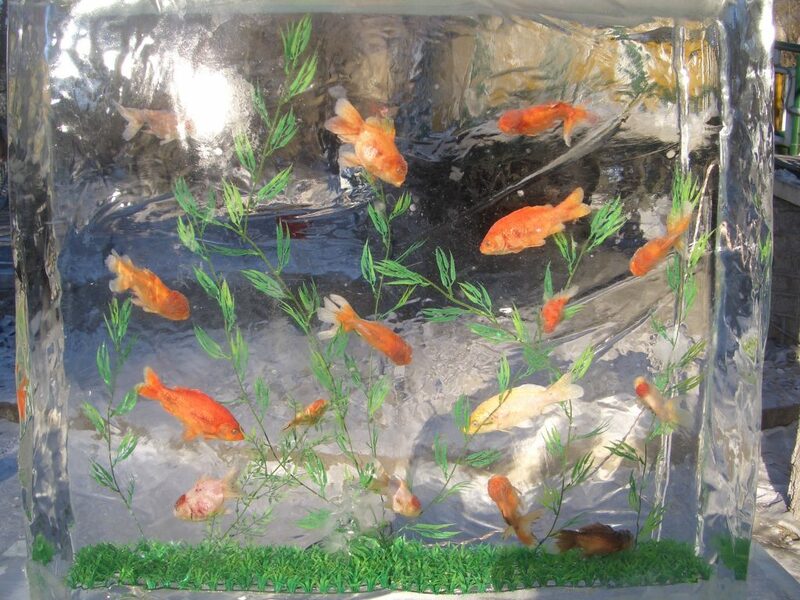 You can take the caught fish home or to a restaurant to cook the fishes. Fishing is a great fun! 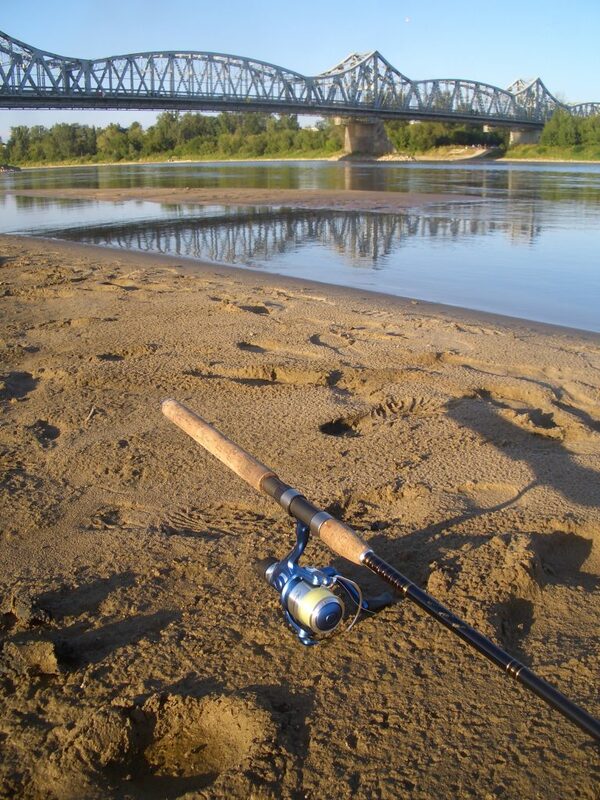 Sitting on the stool, having your rods and reels in good condition, putting on the bait, waiting for the float plunged into the water, your line becoming tight, the rod doubled over and the fishing coming thrashing to the surface. Let’s go fishing! It is located in the Nangong World Geotherm Expo and it has five fishing ponds and one for spearing fish. 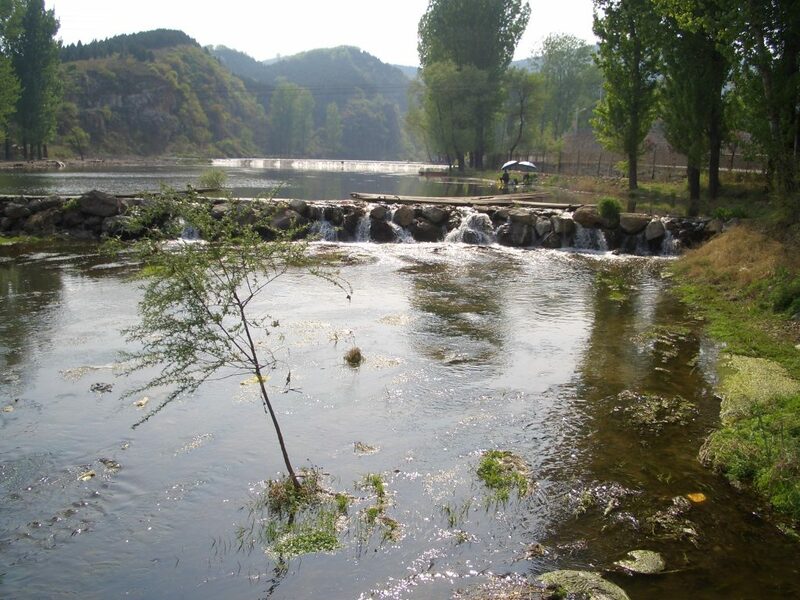 There is also a special place for children to do fishing. How to reach there: if you tale a bus, you take Bus 715 and get off at Geotherm Expo Station. If you take a car, please drive onto the expressway at the Liuliqiao Flyover and go out of the Zhaoxindian Exit, and then drive westwards. Catch: Grass carp, cyprinid, catfish, crucian, porgy, golden trout, rainbow trout and blue shark. Cyprinid is 20 RMB/kg. Grass carp 25 RMB/kg. Catfish and crucian 25 RMB/kg. Porgy is 30 RMB/kg. Rainbow trout 50 RMB/kg. How to reach there: If you take a bus, please take Bus 360, 417 or 904 bus and get off at Niangniangfu Station. If you drive a car, please drive along the Fourth Ring Road, take the Fragrant Hills Exit and drive for Beiwu Village. At the third set of traffic lights, make a left turn, and then drive straight on for about 800 meters. Catch: grass carp, cyprinid and crucian. Cost: 20 RMB/kg for all species of fish. How to reach there: Bus 707 goes to Chaolai Agricultural Garden. If you drive a car, please take the northern Fifth Ring Road, leave by the Beiyuan Exit, and then it’s straight on from there. 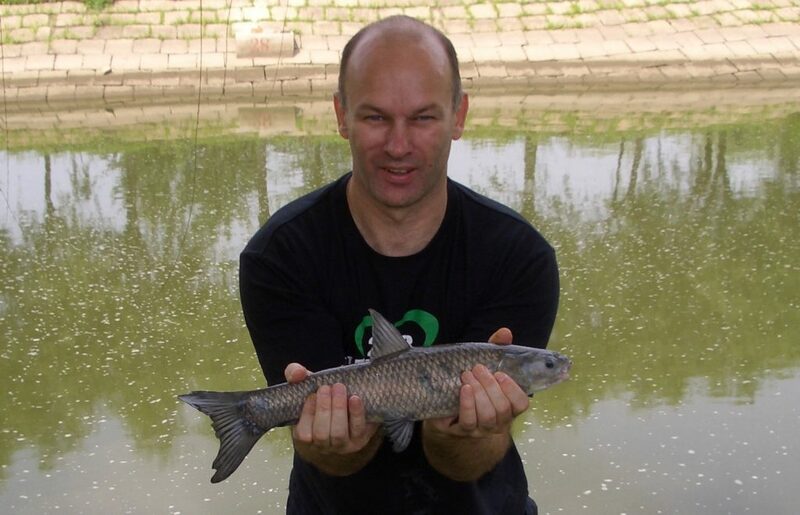 Catch: grass carp, crucian and blunt-snout bream. 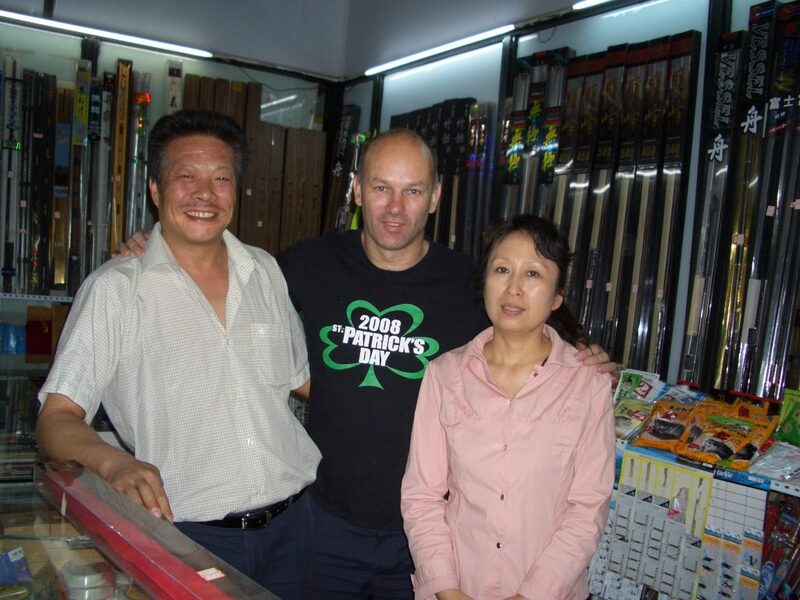 Cost: 20 RMB for rod hire, and then 24 RMB/kg for all kinds of fish. How to reach there: For buses, you take Bus 345 and get off at Machikou Station. If you prefer a car, please drive along the Beijing-Changping Expressway, leaving at the Technology Park Exit in Changping District, and then go straight on and have a U-turn at the first bridge you get to. Catch: porgy, grass carp, crucian and blunt-snout bream. 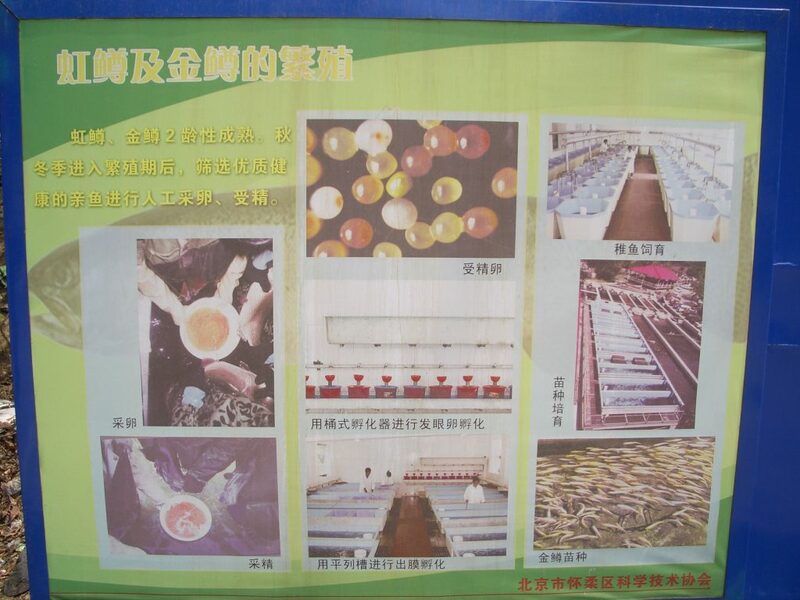 Cost: you can hire a rod free of charge or bring your own, and then it is 25 RMB/kg for all kinds of of fish. How to get there: you can take the City-lightrail Subway and get off at Huilongguan Station. If you drive a car, please use the Beijing-Changping Expressway, leaving by the Xisanqi Exit, and then drive north and turn right at the Shaolin Marshal School. Catch: cyprinid, crucian, and grass carp. Cost: 10 RMB to hire a rod then 15 RMB/kg for all kinds of fish. Catch: rainbow trout, golden trout, and sturgeon. 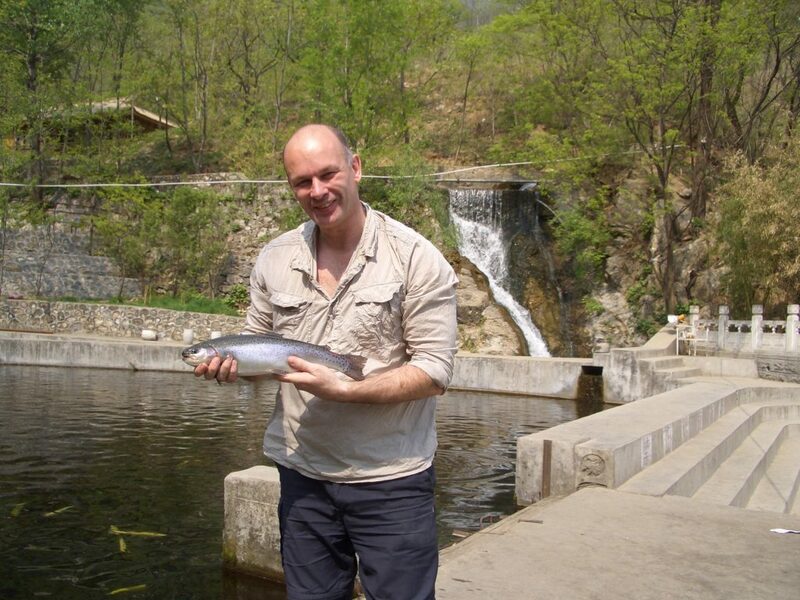 Cost: 10 RMB for rod hire, Rainbow trout are 30 RMB/kg. Golden trout 40 RMB/kg. Sturgeon 100 RMB/kg. How to reach there: First take the train from Xizhimen Railway Station to Shentangyu and then change for a mini-bus. How to reach there: You either can take Bus 916 at Dongzhimen and get off at Huairou Station. Then change for a mini-bus. Or take a car, drive along the Beijing-Miyun Expressway. Continue straight ahead when you get to the Shichang Roundabout at Huairou District. Then on to Suyu Reservoir through Qiaozi Township. Catch: cyprinid, grass carp, crucian, perch, and silver carp. Cost: you pay 10 RMB for the rod plus 38 RMB for a full day’s fishing, and then you pay 8 RMB/kg for the fish. How to reach there: Either take Bus 846 alone the Chang’an Avenue or drive a car along the Beijing-Tongzhou Expressway and leave at the Beiguan Roundabout. Look for for the Longyu Gasoline Station, where you have to go 200 meters further to the north. 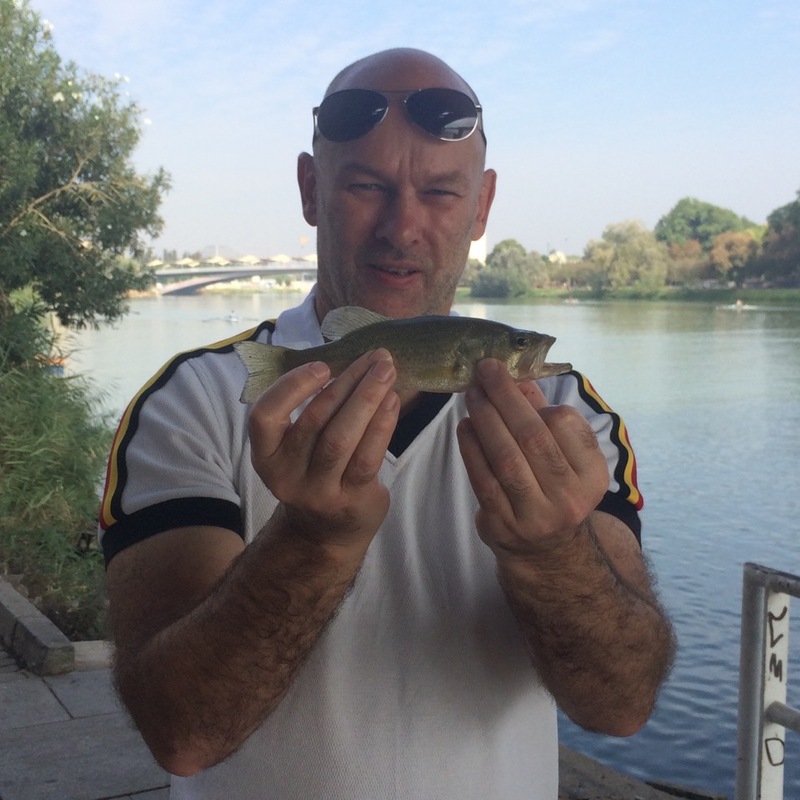 Catch: crucian, cyprinid, grass carp and blunt-snout bream. Cost: 30 RMB/day from Monday to Friday, and then 40 RMB/day on Saturday and Sunday. How to get there: You can either take Bus 917 from Tianqiao (Heavenly Bridge) and get off at Fengtai Station or drive a car along the expressway from the Liuliqiao Flyover to the Changyang Exit in Daxing District, go east 4 km from the Beijing-Liangxiang Roundabout, and then turn right into Changyang Road. Cost: 30 RMB for rod hire. African carp, silver pomfret and black crucian are 30 RMB/kg. Rainbow trout 40 RMB/kg. grass carp, cyprinid and silver carp 30 RMB/kg. 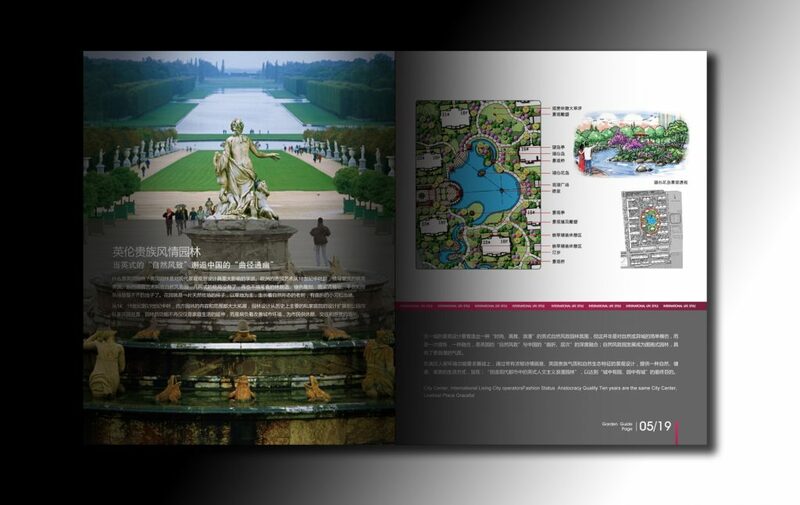 Jinhai Lake is 85 km from the city. 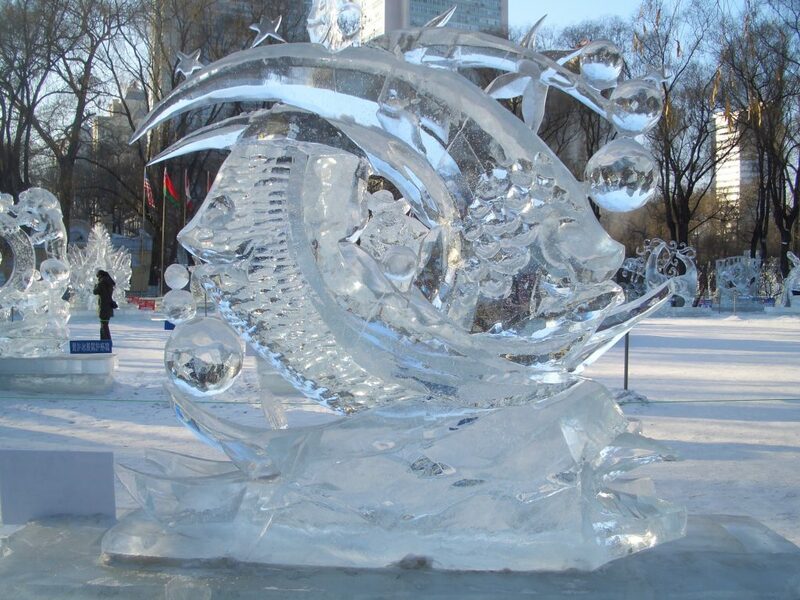 It is be one of the best tourist attractions in Beijing. After fishing, you can dine well at various restaurants. 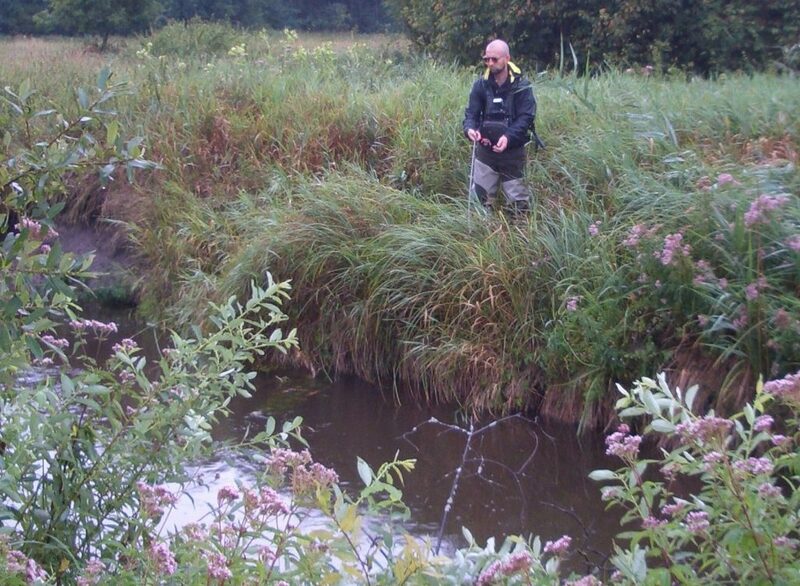 Catch: cyprinid, grass carp, crucian and blunt-snout bream. Cost: 20 RMB for kinds of the fish you can catch. How to reach there: Take Bus 918 from Dongzhimen. By car, take the Beijing-Shunyi Road to the Pinggu District, and then drive 18 km east. Located in the northeast of Chaoyang District, Crab Island has an area of 220 hectares. It is a holiday resort with a pleasant green environment. Catch: African carp, crucian, blunt-snout bream, grass carp, cyprinid, rainbow trout, sturgeon, soft-shelled turtle and blue shark, and yes, of course there are crabs at Crab Island. How to reach there: you either take Bus 418 or Bus 909 at Dongzhimen and get off at Xiedao (Crab Island) Station or take the International Expressway by car. Cyprinid is 20 RMB/kg. Grass carp 25 RMB/kg. African carp, crucian and blunt-snout bream 30 RMB/kg. Rainbow trout 50 RMB/kg. 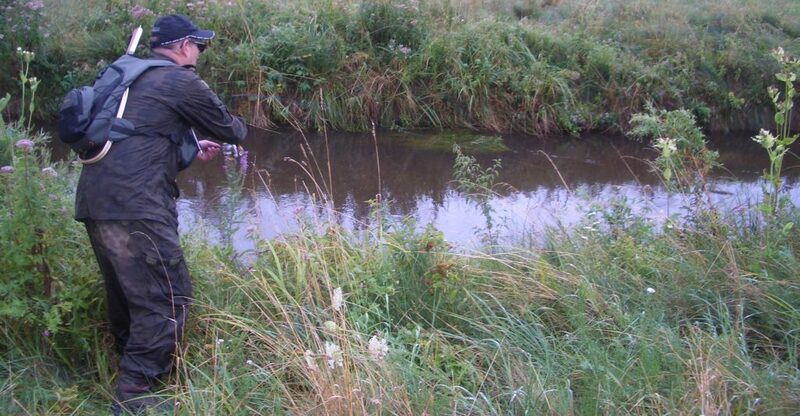 Phil recommends three further, free fishing spots. 1. The canal system in Dongzhimen and Sanlitun. 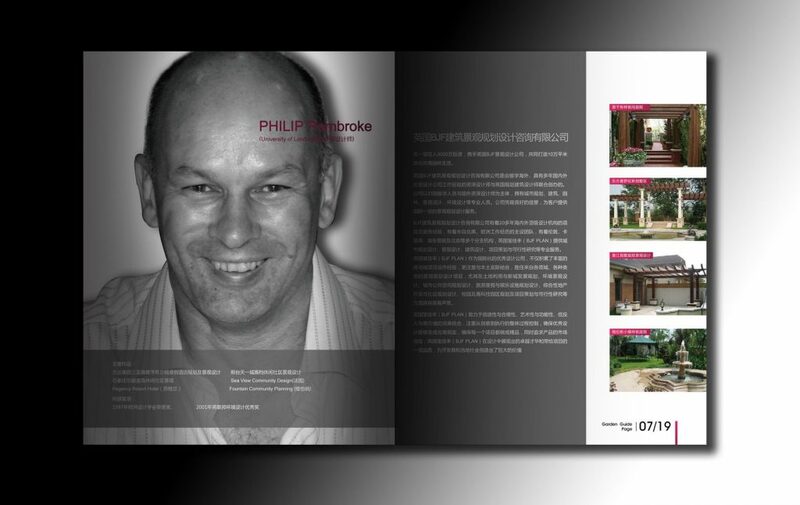 For instance, you can cast a line from the canal bank that bisects Sanlitun bei lu, by Schillers German restaurant. Locals use paste as hook bait to attract crucian carp with a pole and a float. 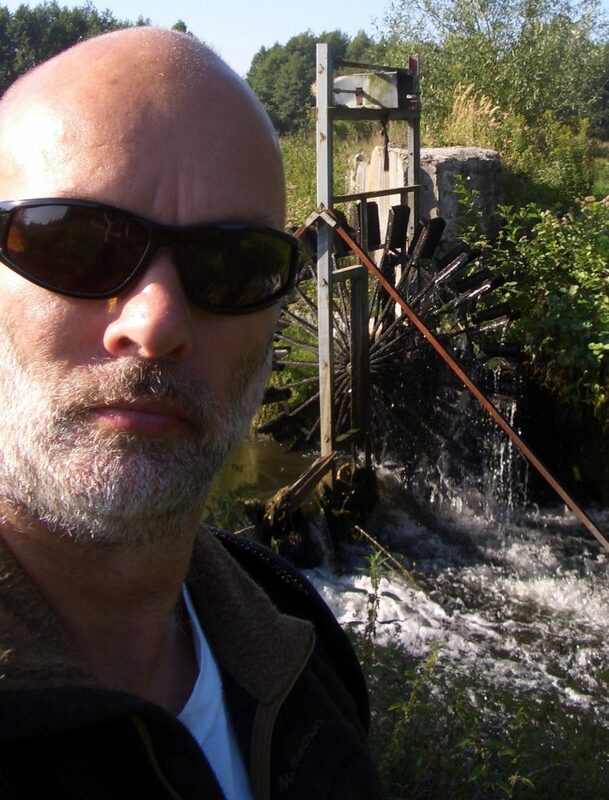 The canal was dredged around 2005, by tnow (2010) common carp will have grown to more than a few kilos. 2. I also witnessed an exotic looking catfish, weighing approximately 2 kilos, being landed from the outflow canal, by the small bridge by entrance to Sihui power station. The power station can be spotted by its tall chimney and is located 400m east of China Central Place on north side of jianguomen Wai, 400m before Sihui Qiao (bridge). 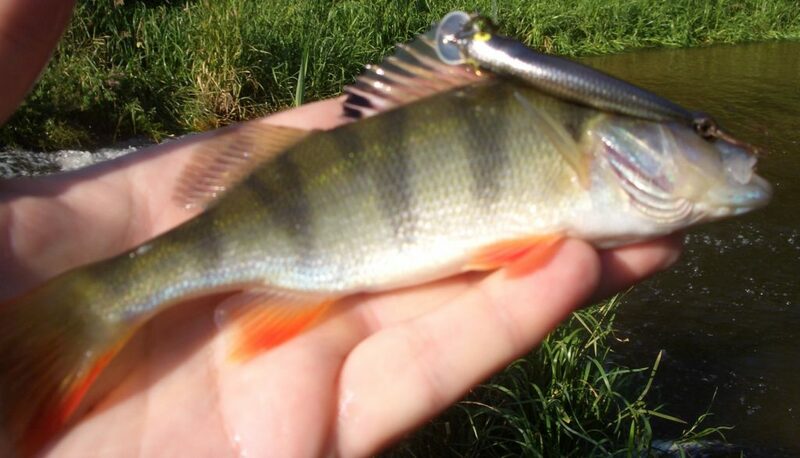 The lucky angler caught the fish on live bait, which can be caught from the same spot. 3. The canal that runs south of the central business district, and parallel to it, is worth a cast. Exit Dawang Lu subway and walk south along Xi Dawang Lu Nan for 5 minutes to the bridge over the canal. 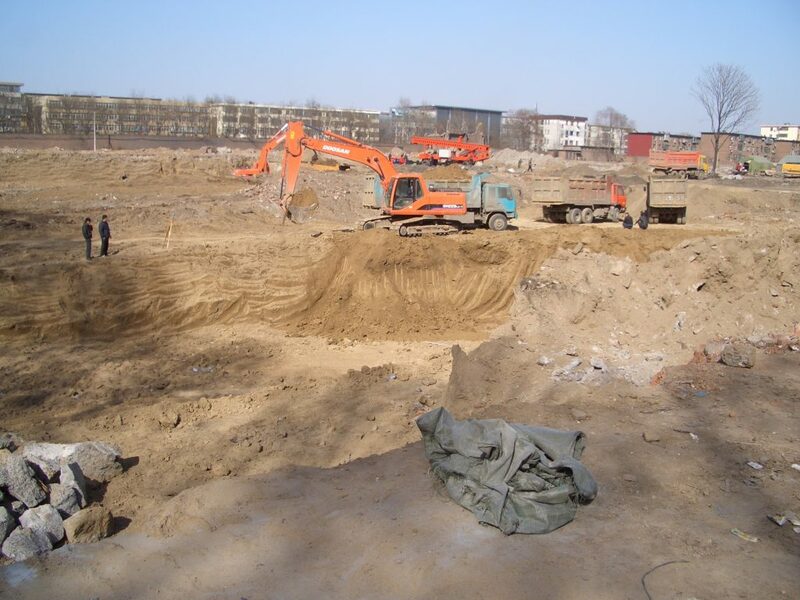 A building site, which used to be home to a famous Chinese bicycle factory, found in Xingtai city centre – three hour’s south of Beijing, was going to be turned into 4000 luxury apartments spread over 50 tower blocks, a landmark hotel and a shopping centre and I was going to be their architect. The developers were keen on our ideas and welcomed our proposals for turning their vision of upmarket homes, in a down at heel location into “concrete” reality. 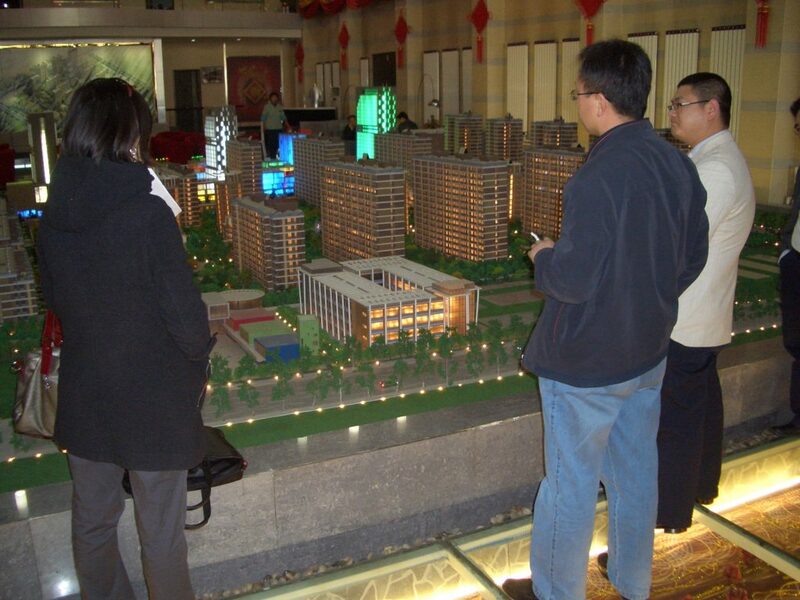 We would design the gardens, access paths and underground car park and turn their dreams, based on this model from…. 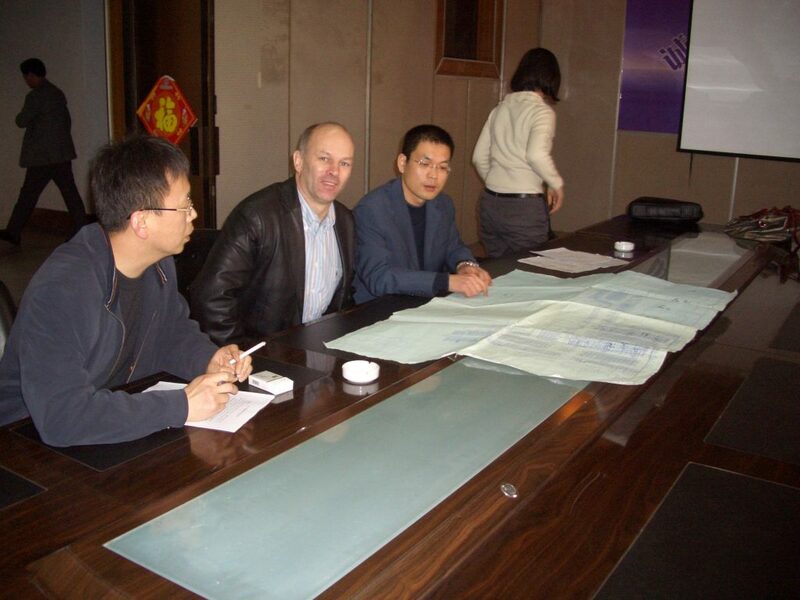 Or, as it was going to be called, Xingtai’s First Sky City ( 天 一 使, Tian Yi Cheng – much better). 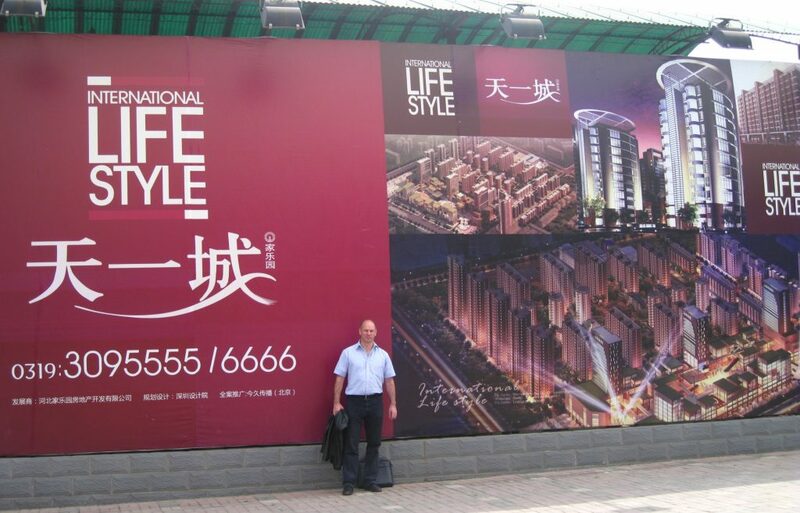 And I was going to be the face of “International Lifestyle” displayed on advertising hoardings across south Hebei province. Construction began in 2009 and was completed soon after. A few (thousand) apartments are still available for viewing. 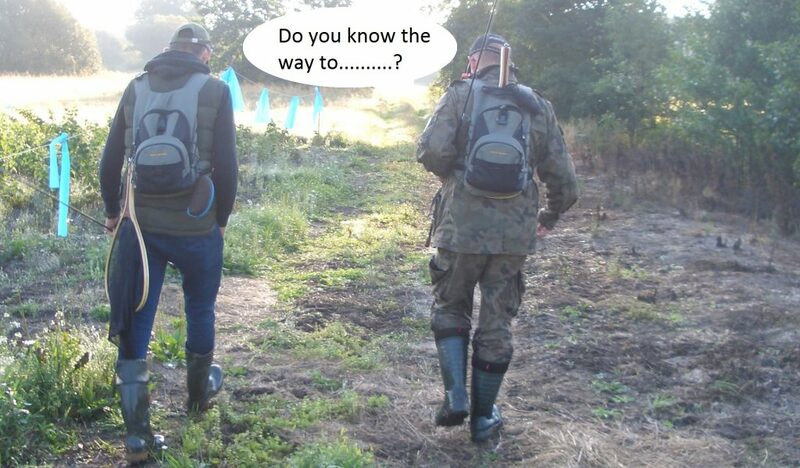 “All the ponds are full of trout! Don’t stand by the shore! Let’s start fishing! 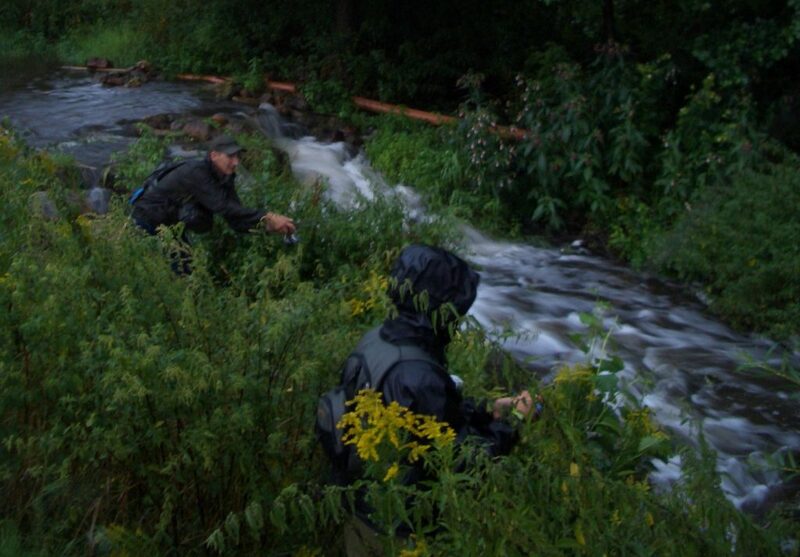 When you catch one or two trout, the local people will weigh the fish. 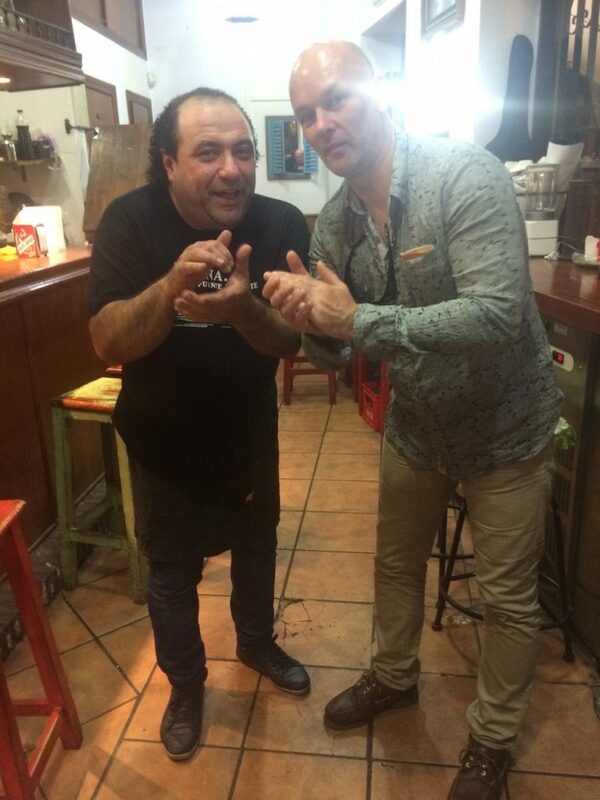 We will pay for the fish and get the fish either roasted and sliced raw for your lunch – yummy! 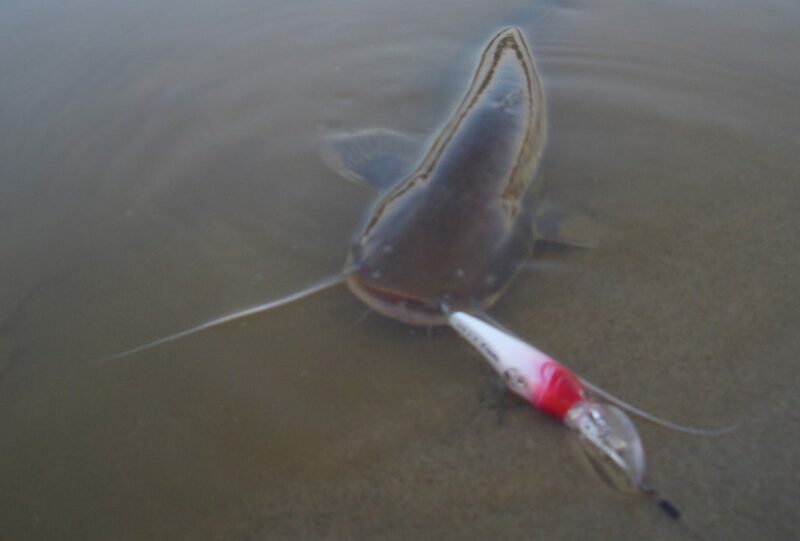 I had trouble hooking a fish with a baited hook so I jigged the naked hook up and down and caught a fish this way. 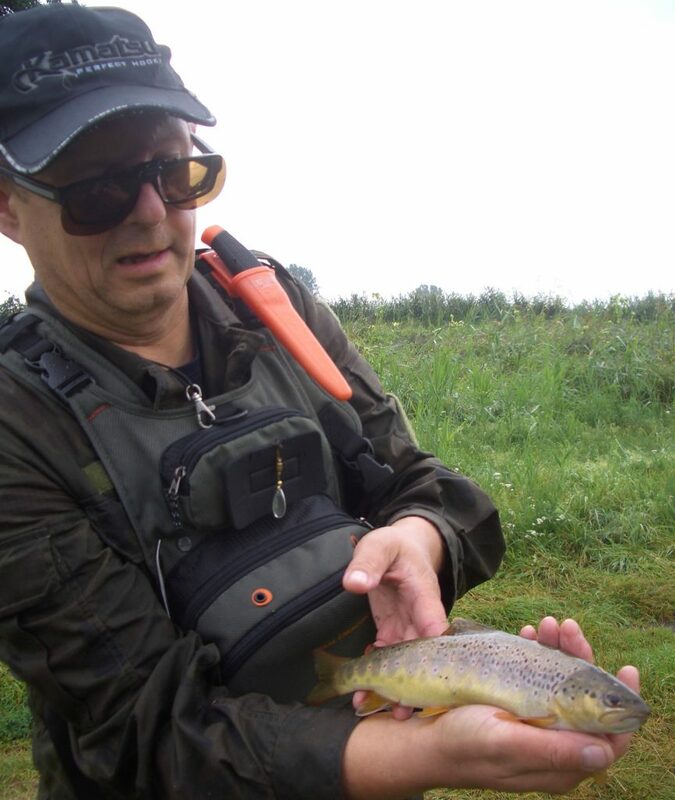 Stock trout are bred in two colours, brown and yellow. They taste the same. 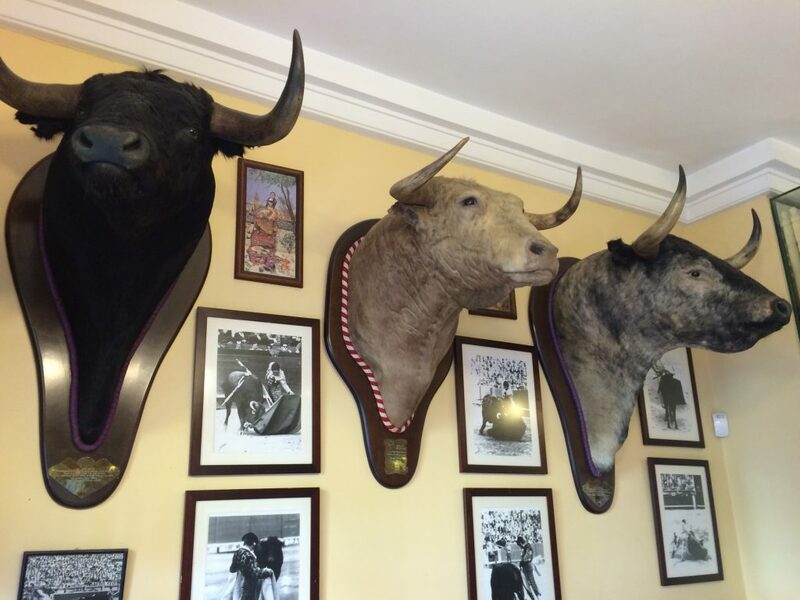 Bar La Cinta in Triana. O.k. 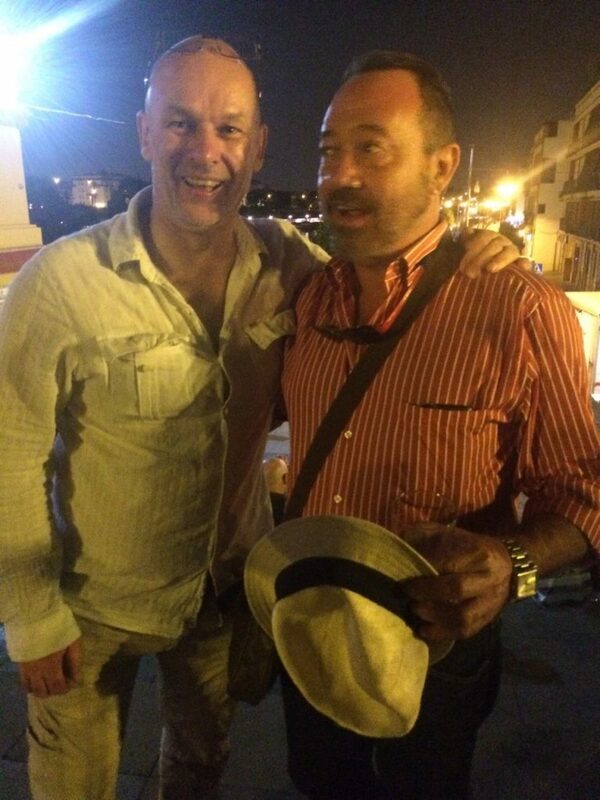 that’s the flamenco over with, now on with the rest of the Seville tour. The Nazi dictator gave General Franco four pairs of fish, whose descendants have helped replenish reservoirs in the Madrid region. The story begins 60 years ago, while Europe burns during the Second World War, and post-civil war Madrid faces a tough road towards recovery. Joaquín Miranda de Onis, professor at the School of Agriculture (Escuela de Ingenieros Agrónomos) is ordered to Madrid airport. There he must collect a package in person from a plane arriving from Berlin, from the Foreign Ministry of the Third Reich. It is a wet, brown fabric package concealing unusual contents: four pairs of Mirror carp, (Cyprinus carpis) a species rarely found in Spain at this time. Back in July 1939, Hitler had received a triptych of the painter Ignacio Zuloaga, a gift from Franco. 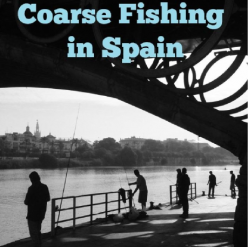 Through his Spanish ambassador, Hitler knew that the ‘generalísimo’ was a keen fisherman – Franco enjoyed his time spent fishing the river Mandeo in La Coruña, where he caught salmon up to nine kilos. 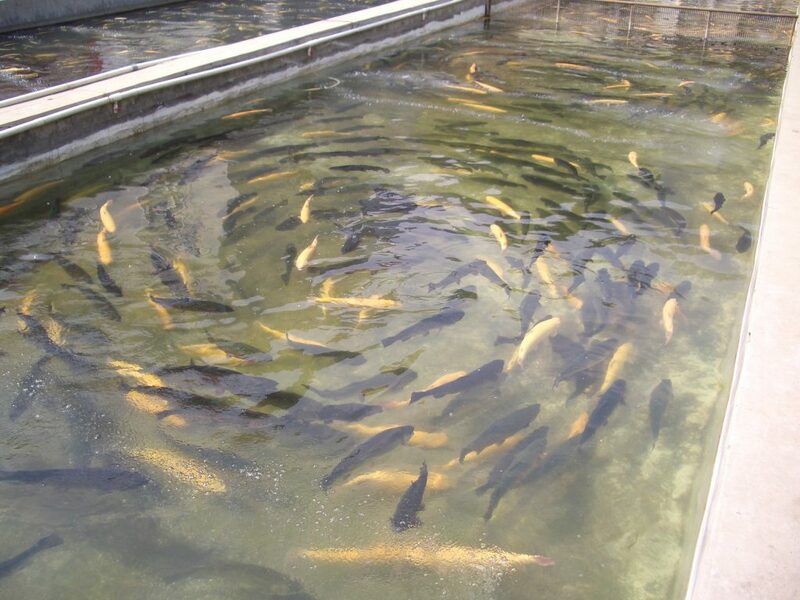 Arroyo Manuel Varela, then a student of Joaquín Miranda, recalls “when he collected the carp package, the fish surviving in a moistened envelope, he took them to the School of Agriculture. 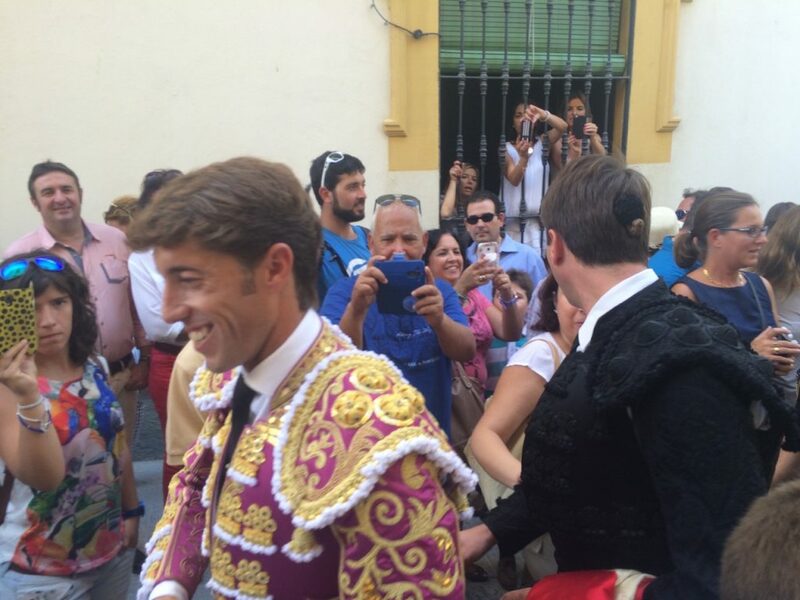 Verdejo continues. 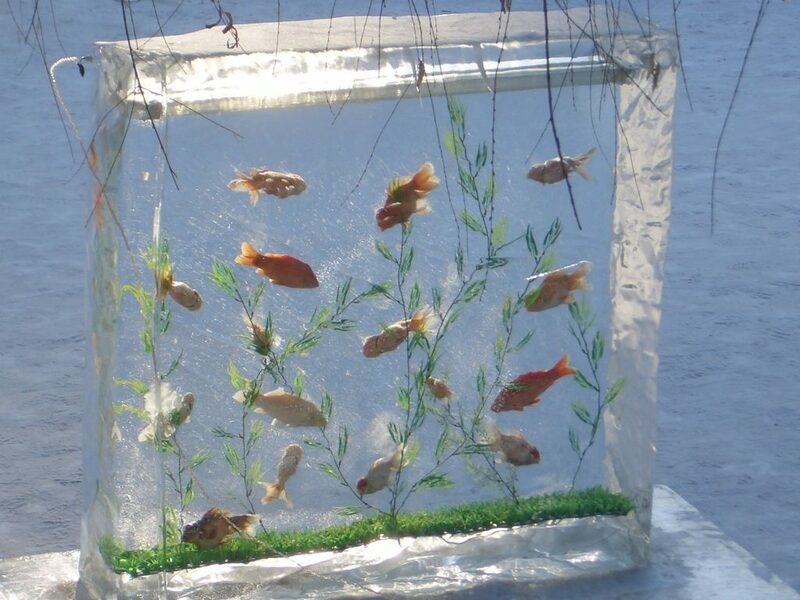 “The mirror carp ate, got fat and grew, until one day in 1994 when the bed of the pond cracked; causing leaks and had to be drained.” Then, the four pairs of fish had multiplied so that between them and their descendants were counted up to 7,000 descendants,” he says. In small PVC tanks, those carp, including one of 24 kilos, almost a meter in length and at least six of 16 kilos each, were taken to a fish farm next to the Migas Calientes, municipal treatment plant located across the M-30 ring road. “I photographed the largest Mirro carp,” says Verdejo. Other witnesses point out that during the catastrophic flood caused by the river Manzanares overflowing in the early summer of 1994, the fish farm was destroyed and most of those Mirror carp were killed by the deluge. It’s now estimated that around 12,000 descendants of the four original Mirror carp in excess of 8 cm size inhabit the river alongside the capital’s nine bridges and in two water treatment plants. Today Mirror carp are also called Raza de Galitzia. Perhaps a reference to their origin: a gift from the Reichsführer to his friend Francisco Franco ‘Generalísimo de los Ejércitos’ and head of the Spanish State.